No ice dance team in the world brings more life experience to their performances than the Canadian duo of Kaitlyn Weaver and Andrew Poje, which is evident in the sense of joy and nuance with which they skate. Theirs is a story of huge setbacks followed by even more stupendous comebacks. “We find the silver linings in all the difficult moments and show ourselves what we can do no matter what happens—going through adversity and showing our strength,” says Poje. Silver is a most appropriate metal to describe the seven-time Canadian medalists, who finished second at the 2014 World Championships by the narrowest of margins. Missing the gold by less than a point makes them that much more determined to ascend the top step of the podium in 2015. Incredibly, four years ago people wondered if their partnership would even continue. Devastated at not earning a spot on the Canadian team for the 2010 Olympic Winter Games in Vancouver, others might have quit. Weaver and Poje, who teamed up in 2006, became that much more determined to make their mark in skating. Their sense of unity was sealed during their first season together when Weaver uprooted her life and moved to another country because she knew a partnership with Poje was meant to be. Their hurdle for Olympic eligibility was cleared on June 22, 2009, when Weaver became a Canadian citizen. Dancing with the Stars pro Anna Trebunskaya said of that routine, “They’re like the leading man and leading lady. They have all the right ingredients: charisma, chemistry and great dynamics in their own bodies. Poised to vie for a spot on the World podium in 2013, on December 14, 2012, Weaver fractured her left fibula during a training session and underwent surgery in Toronto four days later. Doctors advised the duo that their season was over, but with the 2013 World Championships scheduled to take place in London, Ontario, Canada, and with the number of Olympic berths Canada would have in 2014 at stake, Weaver was determined to compete. “I bow down to Kaitlyn for her effort and the amount of determination that she had to come back and prove to the world and to me how strong she is,” said Poje. With support from her physical therapist, partner and coaches, Weaver made her return to the ice. They’d only had a few run-throughs of their programs before leaving for the World Championships. On their first official practice, the audience stood and applauded. “That gave me the realization that people believe in us—it’s not just us out there,” said Weaver. They placed fifth and assured Canada three spots for the Olympic Winter Games in Sochi, Russia. In 2014, their Olympic dream finally came true. Walking into Fisht Olympic Stadium, Weaver and Poje were elated. Both admit the Olympic excitement got the best of them in the short dance and their technical skills suffered a bit. In order to deliver the free dance they’d trained so hard for, they shut out the world for a brief time. “We felt so grounded and in tune with each other and in tune with our program,” Weaver said. “When we took the ice for that tango, the world melted away. That was a state of focus we’d never reached before. It created a moment for us we’ll never forget—competing the very best we could. After the Olympic ice dance competition was done, Weaver and Poje soaked up the Olympic atmosphere to the fullest—attending Canadian victories in women’s curling and women’s and men’s hockey. Witnessing greatness inspired them, and there was no break when they returned home to prepare for the World Championships. Earning their first World medal was another dream realized. They spent the spring of 2014 touring with Stars on Ice Canada, honing their performance skills and simply enjoying giving their all the audiences. They are committed to competing in the 2014-15 season. 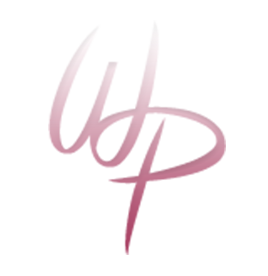 Their continued growth is fueled by their extraordinary coaching team, which is comprised of some of the most innovative and artistic people in ice dancing. Weaver and Poje divide their training between Detroit, Michigan, where they work with Pasquale Camerlengo and Anjelika Krylova, and Toronto, where Shae-Lynn Bourne is based. Krylova, a two-time World Ice Dance Champion and Olympic silver medalist, focuses on technical proficiency, and Camerlengo, a past Olympic and World competitor and highly sought after choreographer, pushes forward the team’s artistry. Bourne, also a World Champion, works on the couple’s performance level. They also work with dancers to give their programs authenticity. 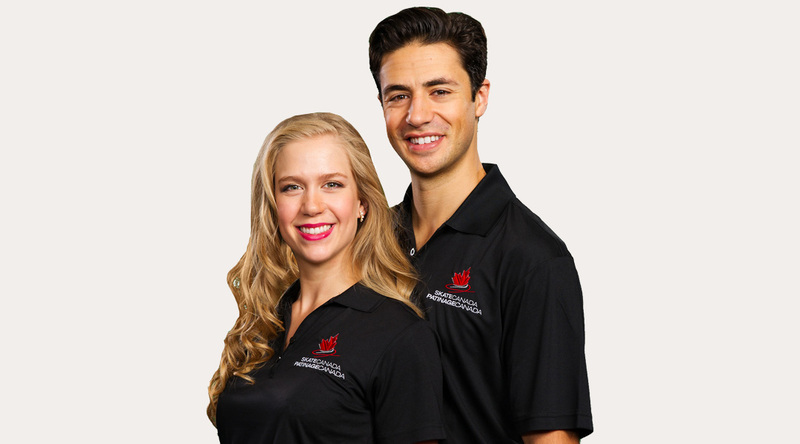 Weaver and Poje recently became ambassadors for Right to Play, an international humanitarian organization that uses sport and play programs to improve health, develop life skills and foster peace for children and communities in some of the most disadvantaged areas of the world. Shortly after the Olympics, they spoke at a couple of schools, including the high school Poje attended in Waterloo, Ontario, about Right to Play. “It’s something we believe in and feel the message is incredibly important,” said Weaver. “We spoke about our experiences at the Olympics. That set the stage to talk about how important sport is in our lives and how important it is in lives of children across the planet. The things Weaver and Poje have learned from skating have set them up to conquer whatever life sends their way.